The developer behind Minto Westside, a 660-plus-unit condo coming to Front and Bathurst, is voicing support for a proposed 21-acre public park spanning the nearby Union Station Rail Corridor. 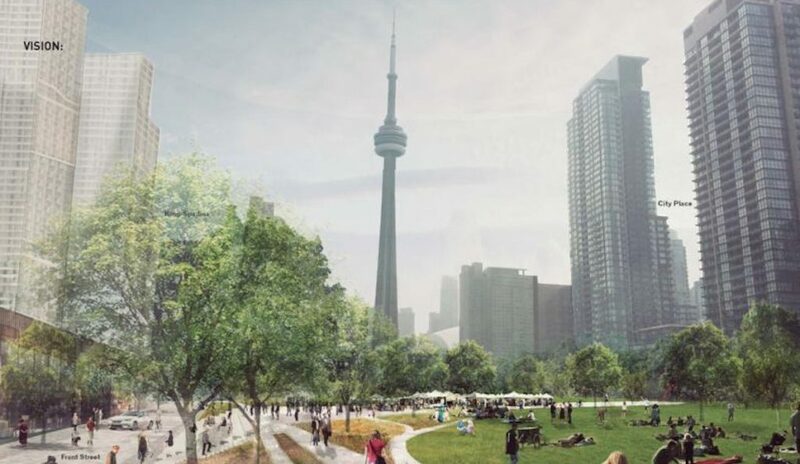 “John Tory’s recent announcement regarding plans for a new park on top of the existing railway lines south of Front Street is incredible news for people living and working downtown,” says Wells Baker, The Minto Group’s director of conservation and sustainable design. The Rail Deck Park’s potential site, the space overtop a stretch of train tracks from Blue Jays Way to Bathurst Street, will make the expansive green space easily accessible for Minto Westside residents should the City of Toronto move forward with the proposal. “Having access to nature and useable outdoor space is really important for people’s health and wellbeing, especially in cities. It is really exciting that residents at Minto Westside could one day have this fantastic park right at their doorstep,” adds Baker. City staff are currently preparing to report to the mayor’s executive committee in September on the proposal. Securing air rights directly above the corridor is among the earliest steps the City needs to undertake for the Rail Deck Park to become a reality. Of course, even without the addition of the sprawling park, residents of Minto Westside will have outdoor amenities just steps from their homes. 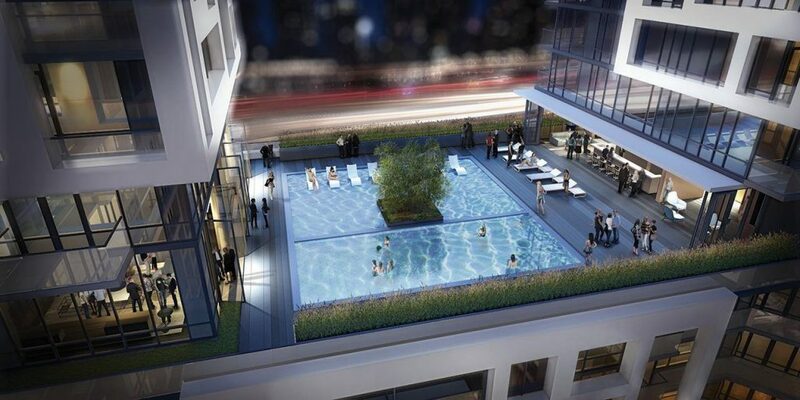 The development features two outdoor courtyards and a rooftop pool with open-air lounge. Minto brings 60 years of experience to this design-forward condo project. The award-winning North American developer and property manager has built 80,000 homes over that time, with communities across several major Canadian cities and Florida as well. Prices at Minto Westside start in the low-$200,000s. For more information about Minto Westside, call 437 836 8586, email westside@minto.com or visit the sales centre at 700 King Street West from 12pm to 7pm Monday to Thursday or from 12pm to 5pm on weekends.